Civil rights activist, TV show host, and Radio show host Al Sharpton is none to happy with Larry Wilmore after the comedian referred to President Obama as "My ni@@a" at the White House Correspondence Dinner. 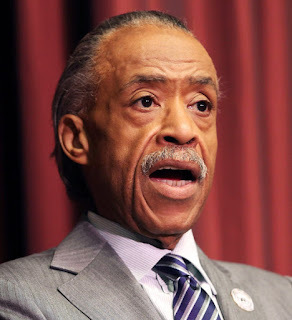 "Many of us are against using the N-word period," Sharpton told the Times at MSNBC's after party that followed the event at the Washington Hilton. "But to say that to the President of the United States in front of the top people in media was at best in poor taste." Sharpton said Wilmore's comic monologue at the dinner "was all right until he dropped the N-word." "I think he was trying to in his own way to act like he was relating," Sharpton said. "But relating to who? Or what? I really didn't like it."